Snow sports have been around for years and luckily, modern technology has advanced enough to allow us to experience the slopes in the best possible way. Whether you're a pro on the skis or you're more into snowboarding, these handy gadgets are sure to make your time on the powdery white peaks just that extra bit more unforgettable! Incorporating the tough durability of a traditional ski boot with the comfort and convenience of a pair of walking boots, the Dahu Ski Boots give you the same performance. Equipped with waterproof and insulation, your feet will feel comfortable whether you're on the slopes, walking or driving. They come with men's and women's designs and are one of the lightest designed boots currently available. This incredible camera will make sure all of your holidays snaps are picture perfect and action filled! It includes all the usual waterproof and noise reduction features but this model combines these already key benefits with voice control, video stabilisation and touch display meaning you can capture all those exhilarating moments on the slopes to look back on in the future. The Trace Activity Monitor is the ideal gadget for any budding or professional sports enthusiast. The monitor records all stats from action sports such as skiing, snowboarding, surfing etc. Using advanced GPS tracking and sensors, this device will capture every movement, flip and jump you make whilst recording speed, height, distance and rotation so you can look back on the app on your smartphone. Trying to access your phone whilst on the slopes can be a bit of a nightmare. This multi-purpose scarf will not only keep you nice and warm but provides a convenient touch screen window so you don't need to take it out. There's a back camera lens window to allow you to be able to take photos and videos on the slopes. 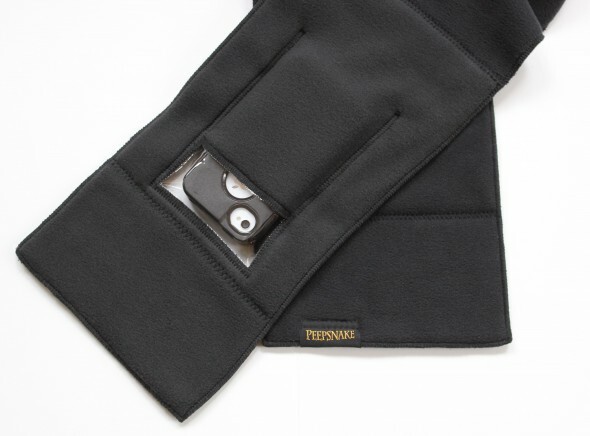 No longer will you have to choose between your smartphone and warm hands. 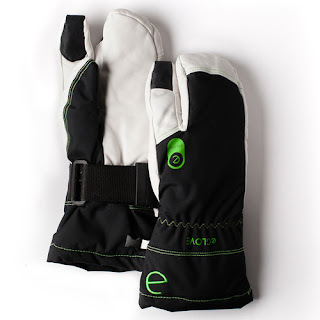 These waterproof gloves feature high-grade leather and are also windproof inside and out. A removable wrist support and easy exits for fingers and thumbs. Including interchangeable lenses, these amazing googles provide an incredible field of vision, fog-free technology as well as ultimate comfort. Compatible with most helmets and a fully adjustable silicone strap, you are able to customise to suit your size and fit. A very handy and convenient back pack, the Dakine Baker pack includes a hydro sleeve to ensure your water stays drinkable (not frozen!) and a goggle pocket. In case of any emergency, the pack contains an integrated rescue whistle as well as a dedicated snow tool pocket for any tools. There's not many things that annoy us more than being out on the slopes for a couple of hours to find our phone battery has died. Keep yours charged up with the Celestron Elements Firecel+. Not only will it charge your phone but it also includes a hand warmer as well as a little torch to help find your way in the dark. The high quality aluminium shell provides the required durability to withstand rough falls and impact. This excellent ski and snowboard helmet provides a solid outer shell, protecting you from sharp objects and falls. With built in Dr. Dre headphones, you can adjust the volumes of music, take phone calls and use your radio all from the one cord. This top of the range sports watch has up to 200 hours battery life, something no other GPS watch on the market can compete with. As well as providing you the time, this watch can monitor your heart rate and connects to a host of apps which can map your location, track calories burned and link up to other sports and fitness enthusiasts. Protective Cases: The slopes aren't always the safest place for your gadgets and this can mean that there is always a risk! Most products also do their own range of protective equipment or cases to keep everything safe from moisture and rough landings. Even more tempted to visit the slopes over the Easter break? Have a look at our exclusive portfolio of luxury chalets and villas in this truly beautiful part of the world.